Marine pelagic ecosystem models are similar to ecological models that have been applied to lakes in many respects (see Lake Models); that is, they are typically constructed in terms of a set of ordinary differential equations that express the time rate of change of the mass in a set of state variables that represent different components of the pelagic ecosystem. However, there are some important differences between marine and freshwater ecosystems and models. In particular, phosphorus is much more likely to limit primary production in lakes as opposed to nitrogen in marine systems. Thus, nitrogen is often used as the primary model currency in marine modeling studies whereas phosphorus is a more obvious choice for lakes. But phosphorus is used in some longer-term marine ecosystem modeling studies because the nitrogen inventory and the extent of N limitation in the oceans can vary on decadal and centennial timescales due to changes in biological N sources (N2 fixation) and sinks (denitrification). Figure 1 Schematic representation of an NPZD model. usually used to express phytoplankton N uptake, the light response of phytoplankton growth, and grazing response to food availability (see table 2 in Lake Models). Pelagic ecosystem models vary widely in complexity, ranging from simple NPZ models that parametrize the role of detritus and export, to more elaborated versions that include multiple N, P, Z, and D components that allow representation of multiple forms of N and multiple groups or size classes of phytoplankton, zooplankton, and detritus (see examples and further discussion below). However, these models often do not include trophic levels higher than Z. Conversion of P to chlorophyll concentration for comparison with data can be accomplished using fixed N:Chl a or C:Chl a ratios, or using more sophisticated approaches that involve dynamic modeling of these ratios. Although linear versions of simple NPZD models can be solved analytically, nonlinear versions and more complex model formulations are usually integrated over time using numerical methods. Relatively simplified model formulations like NPZD are often employed in coupled three-dimensional (3D) model applications in marine systems because they impose a relatively modest computational demand, though there has been a trend toward employing more complex model formulations in recent years. All of these types of models are vast oversimplifications of real marine ecosystems. Nonetheless, they have been shown, through numerous applications, to be capable of representing first-order variability in pelagic ecosystem dynamics and biogeochemical cycling. In most marine ecosystem models the primary balance between autotrophic formation of particulate matter and the recycling of that matter back to the dissolved pools is maintained by zooplankton grazing. In simple NPZ and NPZD models, all of the grazing is represented by a single Z compartment, whereas in more complex models this grazing may be represented by multiple zooplankton size classes, for example, microzooplankton (planktonic heterotrophic protozoa) and mesozooplank-ton (crustacean zooplankton such as copepods). This grazing is typically specified using classical functional forms, that is, Holling's type I, II, III functions or power curves (see table 2 in Lake Models). One (or some combination) of these functions is also usually used to specify the zooplankton mortality, or 'closure' in the model. It is well known that these different grazing formulations have a profound impact on remineraliza-tion rates and also model stability. Yet, relatively little attention has been focused on the grazing formulations in these models. The representation of grazing losses in most marine ecosystem models is extremely crude compared to reality. F (z) = Fo(z/zo)-b where z represents depth in meters and b is a dimension-less parameter. The obvious disadvantage of using this approach in a dynamic 3D environment is that it can neither account for changes in the remineralization profile that may occur due to physical controls (e.g., changes in temperature) nor does this parametrization account for the time it takes for particles to sink and thus the potential impact of horizontal advection on particle export and remineralization. where Do is the detritus concentration at some initial depth. Thus, this simple explicit formulation generates an exponential remineralization/detritus flux profile with a decay length scale e/ws. Elaborations on this approach may include addition of temperature-controlled reminer-alization rate, multiple size classes that sink at different rates, aggregation parametrizations, and/or additional biological consumption terms (e.g., D consuming bacteria and microzooplankton). K = Kw + Kp + kcdom + -^-seston where Kw, Kp, Kcdom, and Kseston are attenuation contributions from water, phytoplankton, colored DOM, and seston, respectively. These equations can be recast as a spectral model (i.e., that resolves light penetration in the water for individual wavelengths of PAR) simply by specifying them for a series of adjacent wavelength bands within the PAR range along with Kvalues that are specific to those wavelengths. In an NPZD model bacteria and their food, DOM, are not explicitly represented (Figure 1). Rather, bacteria are considered to be part of the D compartment (i.e., the implicit agents of remineralization) and the DOM pool is ignored. However, bacteria are extremely important components of pelagic ecosystems because they are responsible for a large fraction of the heterotrophic remineralization of organic matter and they may also provide a potential link for transfer of DOM to higher trophic levels (i.e., the 'microbial loop'). Moreover, the DOM pool is a very significant reservoir for C, N, and P in marine waters. A classical model structure that includes both DOM and bacteria, as well as multiple nutrient forms, is shown in Figure 2. Many state of the art pelagic ecosystem models include explicit representations of bacteria and DOM, though the representation of both is usually highly simplified, that is, including only one state variable for bacteria and one pool of DOM representing the labile fraction as in Figure 2. Figure 2 Schematic representation of the Fasham et a/. 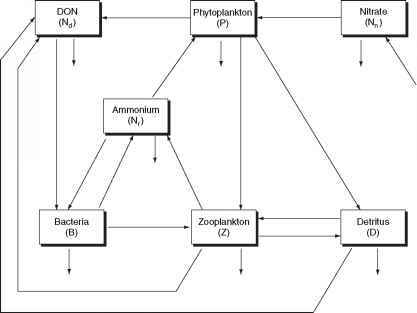 (1990) marine ecosystem model which includes explicit representations of bacteria and dissolved organic nitrogen (DON) and also multiple forms of dissolved inorganic nitrogen (i.e., ammonium and nitrate). Redrawn from Fasham eta/. (1990). especially as a source of mortality for bacteria. Most models do not include specific representations of viruses, but such models exist and this is an active area ofresearch. However, at present there is no clear consensus on whether or not it is essential to include explicit representations of bacteria, DOM, and viruses in ecosystem models for modeling ecosystem dynamics and bulk bio-geochemical cycling in marine waters. Many pelagic ecosystem models that are being employed in marine biogeochemical cycling studies do not include explicit representations of these groups. The effects of multiple limiting nutrients can be accounted for in a variety of ways in marine ecosystem models. These range from simple fixed stoichiometry models, that is, where all particulate matter compartments are assumed to have Redfield composition (C:N:P = 106:16:1) and so uptake of these nutrients must occur strictly in these proportions. In contrast, models can be constructed that allow the elemental composition of particulate matter to vary between specified ranges according to physiological constraints and the relative availability of each nutrient. The fundamental difference between fixed and variable stoi-chiometric ratio models is that the former must strictly adhere to Liebigs law of the minumum, that is, the total amount of organic matter that can be formed will be determined by the nutrient pool that is in the shortest supply relative to the specified needs of the phytoplankton. Another important difference is that fixed ratio models cannot account for well-known differences in the reminer-alization rates of organic C, N, and P. The advantage of fixed ratio models is that they need only carry explicit representation of one currency (nutrient) and cycling of all the others can be calculated in proportion. Variable ratio models are more complicated because they have to track nutrient composition in more model compartments, which also creates a greater computational demand, but they are more realistic, especially in terms of their representation of nutrient uptake at low concentrations and remineralization. P + Ksp N + Ksn of two or more Monod functions where, in this context, p is the dissolved inorganic phosphorus concentration, N is the dissolved inorganic nitrogen concentration, and m and Mmax are the realized and maximum phytoplankton growth rates. Taking the minimum of the two limitation terms is generally considered to be more physiologically correct, that is, the multiplicative approach will tend to underestimate the realized growth rate. In addition to N and P, other nutrients can limit autotrophic production in marine systems, in particular silica (Si) and iron (Fe), and these can be added to the limitation function as required. Si is important because it limits diatom production and so can have a strong influence on export because diatoms tend to sink after they bloom. Fe is important because it limits phytoplankton production over vast areas of the open ocean, in particular in the southern ocean, and the equatorial and subarctic Pacific. Incorporating Si limitation and cycling is relatively straightforward. In contrast, the chemistry and cycling of Fe is complicated and poorly understood. Nonetheless, Fe limitation and cycling has been incorporated into a variety of pelagic ecosystem models, typically by specifying an atmospheric source from dust deposition of which a small fraction is considered to be bioavailable Fe. It is generally assumed that Fe is taken up and cycled much like C, N, and P and can thus be modeled using a fixed stoichiometric ratio approach or a variable ratio approach as discussed above. 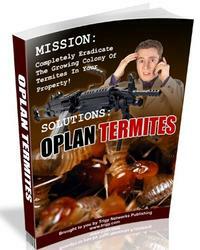 Some form of Fe scavenging and burial must also be specified to prevent accumulation of Fe in the model. Biogeochemical functional groups refer to groups of organisms that mediate specific chemical reactions in marine systems like nitrogen (N2) fixation (reduction of N2 to NH3), denitrification (reduction of NO33 to N2O and N2), calcification (formation of calcite from Ca2+ and HCO 3 ), silicification (formation of opal from dissolved silica), and dimethylsulfide (DMS) production, to name just a few. These reactions are very important in marine systems because they influence things like nitrogen availability and N:P ratio, the carbon cycle and carbon sequestration, and even precipitation patterns. Substantial progress has been made in the last decade toward incorporating N2-fixation (e.g., Trichodesmium), silica production (diatoms), and calcification (e.g., cocco-lithophorids and specifically Emiliania huxleyi) into marine ecosystem models. However, representations of these functions are still incomplete, that is, most are based upon specific organisms and therefore represent only some fraction of that biogeochemical function. Moreover, virtually all of these functional group models simulate the impact of autotrophic microbes and therefore do not account for reactions that are mediated at higher trophic levels. For example, most dynamic calcification models are based upon the coccolithophorid Emiliania huxleyi, even though this particular species makes a relatively small contribution to global calcification. In contrast, none of the existing calcification models include a representation of forams, which are important agents for calcite export to the deep sea and bottom sediments. Harmful algae bloom (HAB) modeling and prediction is a related problem in that it involves species-level simulation and prediction. For most HAB species the specific combination of factors that lead to blooms is unknown. As a result, efforts to develop mechanistic models for predicting HABs have not been particularly successful to date, albeit with a few notable exceptions. 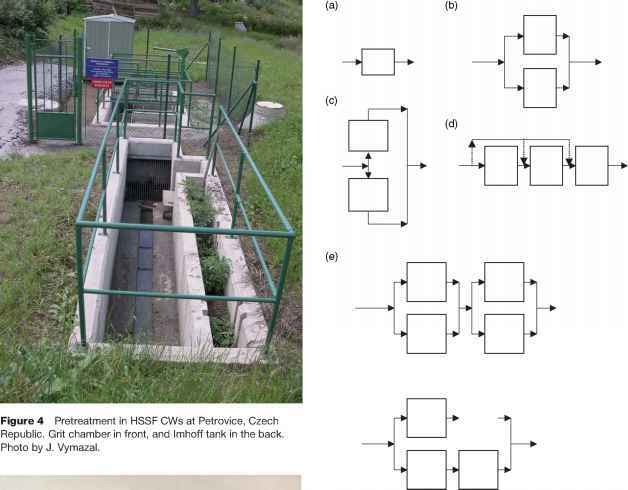 However, mechanistic ecosystem models have been gainfully employed as heuristic tools in the study of HAB phenomena. Benthic-pelagic coupling is particularly important in shallow coastal and estuarine ecosystems. Reaction rates in sediments tend to be high because organic matter accumulates at the sediment surface, which fuels micro-bial degradation and mineral cycling. When oxygen depletion occurs within the sediments, alternative compounds are used by microbes as the terminal electron acceptor for respiration. These include NO^ reduction (denitrification), SOij~ reduction, and Fe3+ reduction, in order of energetic preference. As a result, anoxic sediments are particularly important zones for N2O and N2 production, H2S production, and also cycling and mobilization of phosphorus, which is linked to the reduction of Fe. A wide variety of models have been developed that can account for both oxic and anoxic sediment biogeochemical reactions. These range from simple parametrizations of the major sedimentary nutrient sources and sinks, to highly detailed reduction-oxidation sediment biogeochemical models. In basin- and global-scale models that do not resolve rivers, inputs of freshwater and nutrients can be specified as an augmentation of the precipitation flux in the vicinity of the outflow. Riverine DOM and seston loading is important because it can have a strong influence on light penetration and therefore primary production in coastal and estuarine waters. They are accounted for in the Kcdom and Kseston terms of the light transmission models described above. Kcdom can sometimes be approximated using empirical relationships linked to salinity because there is a strong inverse relationship between salinity and CDOM concentrations. Dynamically determining Kseston in shallow estuaries is a significant challenge because it requires implementation of a seston/sediment transport model at some level, that is, with loading as well as deposition on the bottom and resuspension. Atmospheric nutrient deposition can also be important in both coastal and open ocean ecosystems. For example, in Chesapeake Bay USA atmospheric nitrogen deposition comprises ^25% of the total annual N loading. And atmospheric deposition is the primary source of Fe in the open ocean. These fluxes can be specified from direct measurements or using models of atmospheric deposition. However, the former usually requires that the fluxes be specified in a highly idealized way due to sparse observations. Accounting for both wet versus dry deposition can also be problematic if both are not measured. Although this review focuses on models of planktonic ecosystems and biogeochemical cycles, similar mathematical approaches have been used for developing models of higher trophic levels. For example, lake ecosystem models are often extended to include explicit representations of planktivorous and even carnivorous fish (see Lake Models). These models have been very productively employed in conjunction with whole-lake manipulation experiments to study top-down control effects and trophic cascade. Higher trophic level models have also been applied in marine systems to quantify multispecies interactions among fish and marine invertebrates. For example, the Ecopath with Ecosim (EwE) model (http://www.ecopath.org) can be used to provide static, mass-balanced snapshots of marine ecosystems, and both zero- and multidimensional time-dependent simulations. EwE has been used extensively for both research and management applications. The latter include evaluations of ecosystem impacts of fishing and marine resource management actions, as well as analysis of impact and placement of marine protected areas and the effect of environmental change.